A poignant story of loss and grief. A DREAMer frequently leaves family behind and can no longer go to visit them once they try to build a new home and future in the US. 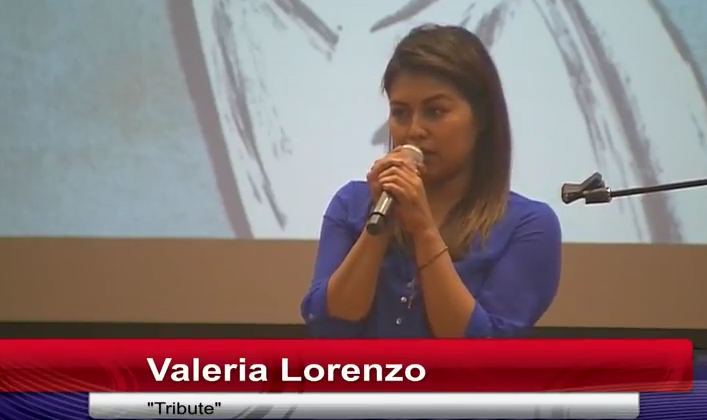 Valeria works as an instructional aid for the special education department of a Bay Area High School. She came to the US when she was 13 years old. Soon she will be going back to school to attain a Masters Degree. She was one of the storytellers at the event, “Walk of DREAMers: An Evening of Stories” in Palo Alto, CA on June 29th, 2016.